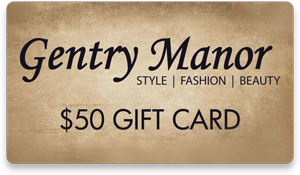 Gentry Manor | Chatham Hair Salon, Day Spa, Massage Therapy, Clothing & more! The historic pillar clad entrance of Gentry Manor sets the tone for the grand selection of designer clothing, gift-ware and home décor that you have come to love, enjoy a massage at our Oasis Day Spa, or let our professional stylists treat you to a new look in our state of the art hair salon. James Lizotte and Thomas Smith, the founders of Gentry Manor, have been welcoming guests from far and wide to this truly unique destination for more than 20 years. Gentry Manor consists of four main areas The Design Alternative, The Thomas Group, Get It On boutique, and the newly renovated Oasis Day Spa.